WASHINGTON — The former deputy CIA director made a series of factual misstatements while defending the agency's harsh treatment of detainees in his recent book, Senate intelligence committee staffers assert in a 54-page document filed with citations from CIA records. The detailed critique of the memoir by Michael Morell shows the extent to which critics and backers continue to try to shape public perceptions of the CIA's post 9/11 detention and interrogation program, even months after the release of a Senate report that sought to render a final judgment on it. How the public interprets the CIA's use of torture is not merely a matter of history: At least one Republican presidential candidate, former Texas Gov. Rick Perry, recently promised to bring back harsh interrogation techniques if elected. Morell is affiliated with a consulting firm that includes former aides to Hillary Rodham Clinton, and he is often mentioned for possible national security jobs were she elected president in 2016. Former CIA spokesman and co-author Bill Harlow has said that he and Morell stand by every word in the book. In December, the Senate intelligence committee released a 517-page summary of a 6,770-page classified investigation that was scathing in its criticism of the CIA. Based on millions of pages of CIA records, the report concluded that the CIA's brutal interrogations of al Qaida detainees after 9/11 were harsher than previously thought, and failed to produce the unique, life-saving, otherwise unobtainable intelligence by which they were justified. The report accused the CIA of consistently misrepresenting the program to Congress and to other agencies. The report was the work of Democratic aides to Sen. Dianne Feinstein of California, then the chairman of the committee. Some of those aides also wrote the critique of Morell's book. In last month's "The Great War of Our Time," Morell, who retired in 2013, defended the harsh interrogations and denounced the committee's report as "deeply flawed," and a disservice to the nation. Morell argued that waterboarding, sleep deprivation and other brutal techniques used on al-Qaida detainees by the CIA produced crucially important intelligence, disputing the Senate report's conclusion. "I am personally troubled by waterboarding," Morell wrote of the simulated drowning technique that has long been considered torture. "But here is my moral dilemma ... I believe that waterboarding was one of the two most effective of the all the harsh techniques (the other being sleep deprivation)." But the Senate document challenges Morell's command of the facts. It says that when he was in charge of the CIA's response to the study, he asserted in a meeting with Feinstein that "I'm not in the weeds" when challenged on specific details. It adds that he told Feinstein he had not read the full, classified report. For example, Morell refers to Abu Zubaydeh, the first detainee who was waterboarded and brutalized, as a "senior al Qaeda figure." But that characterization is disputed by the CIA's own experts, who in 2006 published an intelligence assessment explaining that the CIA had "miscast Abu Zubaydah as a 'senior al-Qa'ida lieutenant.' "
In his book, the Senate report argues, Morell conflated various terror plots attributed to al Qaida figures. For example, Morell wrote that 9/11 mastermind Khalid Sheikh Mohammed, who was waterboarded and otherwise tortured by CIA interrogators, "was also planning to. send a team of Pakistanis to smuggle explosives into New York to target gas stations, railroad tracks, and bridges." 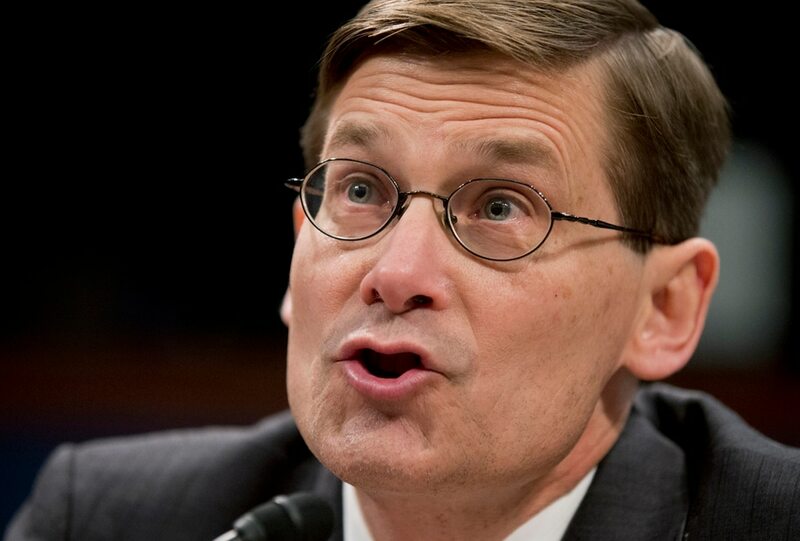 The Senate report's fact-check responds: "Morell appears to be conflating several separate accounts," and it lays out various unconnected plots outlined in CIA records, some of which were dismissed by CIA analysts as wildly implausible. Of Morell's waterboarding contention, the Senate report cites a CIA interrogator who wrote that Khalid Sheik Mohammed and Abu Zubaydah "held back" despite the use of the CIA's enhanced interrogation techniques, adding "I'm ostracized whenever I suggest those two did not tell us everything. How dare I think KSM was holding back," the interrogator said. In April 2003, the Senate document says, a CIA medical official told the agency inspector general that the waterboarding had "not been very effective on KSM." He also "questioned how the repeated use of the waterboard was categorically different from 'beating the bottom of my feet,' or from torture in general." The Senate document also takes aim at Harlow, who also co-wrote books with former CIA Director George Tenet, who helped create the harsh interrogation regime, and Jose Rodriguez, who helped run it. Harlow helped coordinate a response to the Senate report by former CIA officials. "Both books contain significant inaccurate information on the CIA detention and interrogation program," the report says. "The Committee Study describes in detail — using the CIA's own internal records — how the CIA's representations, repeated in books by Tenet, Rodriguez, and now Morell, are inaccurate."